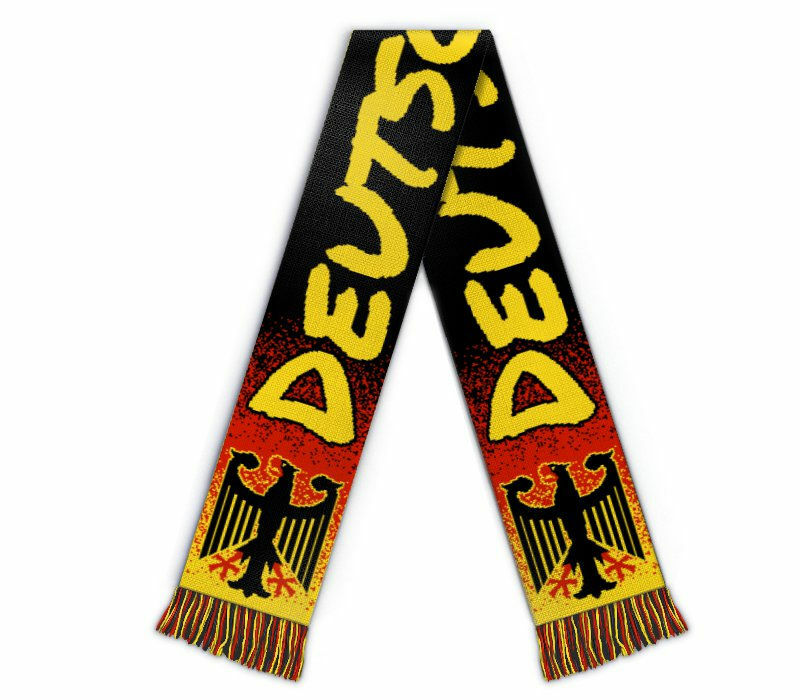 Edit design Soccer team scarf Germany , or create your design from scratch. The scarf for the world champions 2014. Black, red and gold. 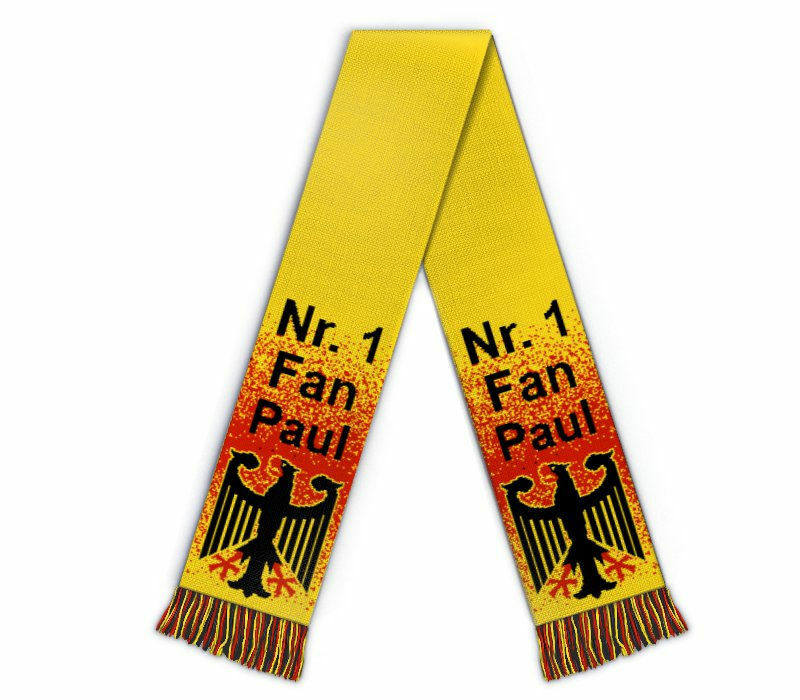 Design and customize this original German football scarf with your text, logo or any other design.